Yes, selling is an art, but the best sales people close deals by having a firm grasp of the science. Managing and motivating a sales team requires the same blend, but identifying deals that deliver not just volume but bottom-line profit requires corporate, competitive and market data that’s accessible and granular. 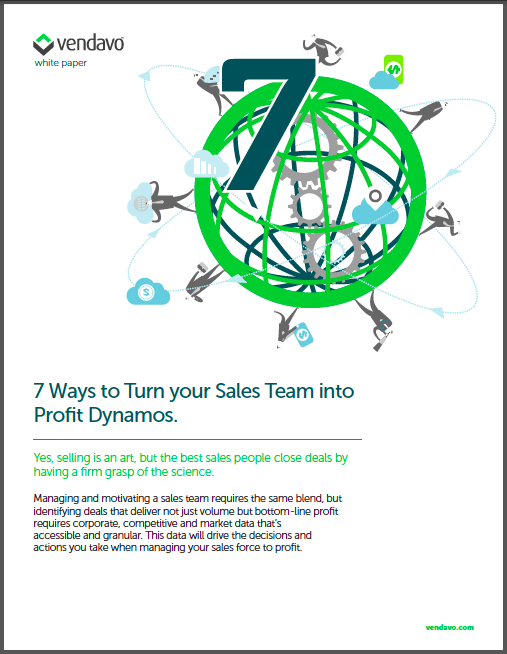 Download this whitepaper for data to drive the decisions and actions you take when managing your sales force to profit.